Though coral reefs cover less than one percent of the planet's surface, a quarter of all marine species live in and around their colourful formations. These massive structures and delicate, branching towers might look like alien landscapes, but they're yours to explore when you learn to scuba dive! 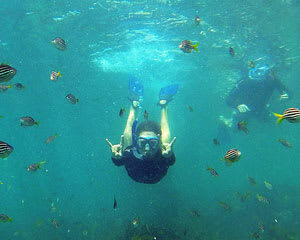 See first-hand the wonder and mystery of the sea on a scuba diving experience. New to scuba? Set your sights on an introductory dive that gets you out in the open water on the same day. These trial dives are a great first step to pursuing scuba diving certification. Once you're hooked on diving, check out the PADI Open Water Course! 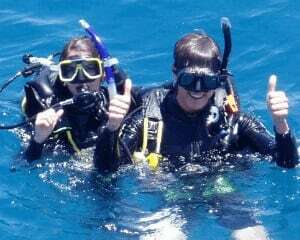 This four-day intensive program combines two days of scuba diving theory and pool work with two days in the sea. 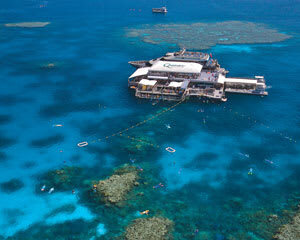 It's a fast track to all the Great Barrier Reef dives available to certified divers. You'll be confidently flipping your fins through multi-coloured coral in no time! Scuba diving isn't the only way to see the underwater world of the coral reef. 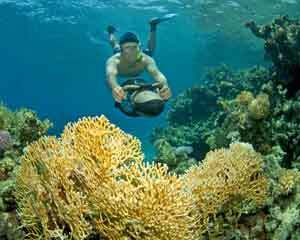 A Great Barrier Reef snorkelling tour requires no prior experience and is ideal for those unable to dive. 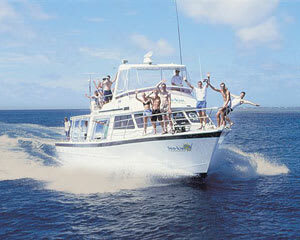 Set sail on a catamaran headed towards the clear waters of the best dive sites on the reef. 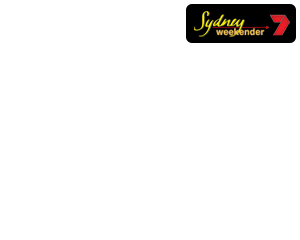 All the necessary snorkelling gear (including a wetsuit if the temperature requires) will be provided onboard. 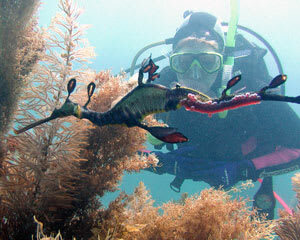 You can snorkel with dolphins, seals or sea dragons! To increase the adrenaline, zoom through blue waves on an underwater scooter tour. Explore the ocean floor while performing tricks like backflips and barrel rolls! 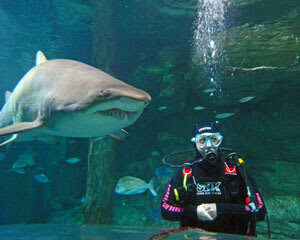 Or if you dare to come face to face with behemoths of the deep, a shark diving experience is sure to get your heart racing. On a Great Barrier Reef tour, set sail for a reef activity platform or verdant island offering not only scuba diving and snorkelling but helicopter rides, helmet diving, and fish feeding. It's an ideal way to try many activities in one day! Those who prefer to stay dry can observe reef life through underwater observatories, explore the green wilderness of the island or just relax. Scuba diving and other diving activities offer a glimpse into a watery world teeming with brightly coloured fish and exotic lifeforms we’re only just beginning to understand. 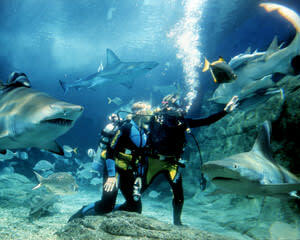 See these incredible sights for yourself by learning to scuba dive!